There are an abundance of quality free “sign-up” blogging services scattered across the Web, with big names like Tumblr, WordPress.com and Blogger becoming increasingly popular as their numbers grow. 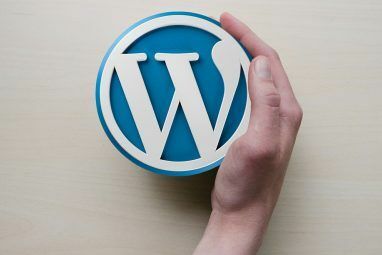 It wasn’t always this way, and a few years ago the go-to platform for bloggers was the humble standalone WordPress blog. 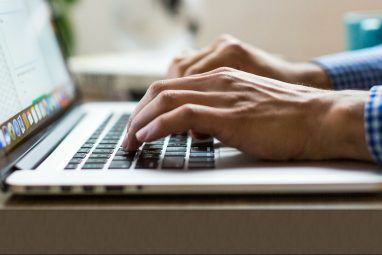 The open source blogging engine is still massively popular, even MakeUseOf uses a heavily modified WordPress install to bring you articles like this. For individuals, casual bloggers and newcomers to the art of expressing yourself online the question remains – what’s better: a self-hosted WordPress blog or membership to one of the free “sign-up” services? It’s time to work out which blogging option is right for you. The answer to this conundrum is going to be entirely subjective and differ based on your personal requirements. One thing you should do is make a decision and stick to it – if you intend on starting a blog to further your career, cause or simply because you’ve got something to say then the longer you spend considering the inner workings the more time you could spend actually writing. As someone who writes regularly for a living, that comes from the heart. Setting up a blog requires a few components: web-hosting, a domain name and some software. While there are cheap web-hosts available, a small personal blog should not be expensive to host and is almost always worth the money. If you’re looking for good web-hosting beware of quantity over quality – 10GB of hosting might be enough space to host 100 websites but poor uptime and unreliable support will spell disaster. It’s always best to buy within your means and upgrade at a later time if you find you need more space, transfer or features. If you do choose to go the self-hosted route then you’ll enjoy the amount of control you have over your website. You can literally change the bricks and mortar that is your website – your code, images, plugins and of course the blogging engine that will power everything. WordPress seems like a good starting choice with its abundance of themes and massive library of free plugins, though alternatives like Joomla The Beginners Guide To Joomla The Beginners Guide To Joomla This guide will walk you through everything from why to choose Joomla and how to install it on your webserver to how to design and customise your site to your liking. Read More exist. WordPress is famously easy to get up and running, though you will need to make sure your webhost supports the necessary versions of Apache, PHP and SQL. These terms shouldn’t put beginners off, though be aware setting up your own self-hosted blog requires some basic knowledge of FTP and SQL (databases) but it isn’t hard to learn. Of course if you’ve purchased web space and have all the tools and features you need then there’s nothing stopping you hosting other content management systems, galleries or other web apps of your choosing. Self-hosting also allows you to take care of your own SEO and analytics, though services like Tumblr take care of a lot of this for the end user. If you’re optimising product reviews then this is more important than say sharing a story about your recent travels abroad. I’ll say it again: subjective, personal requirements. Hosting your own blog can also be a lot of work, something you won’t have to worry about too much if you opt for a sign-up service like WordPress.com or Blogger. While you’ve got all that control over your website, you are also your own tech support. That means you’re responsible for setting up, maintaining and updating the software. WordPress takes care of much of this for you, with simple one-click updates for plugins and the core application, though if you’re not the most up-to-date of individuals you might want to think twice. 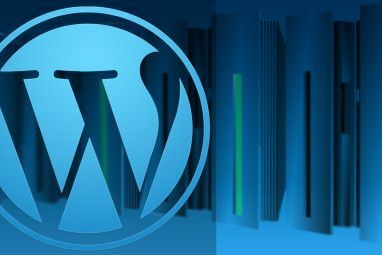 New versions of WordPress come out every few months, most of the time focusing on bugfixes and the odd revamp of an old feature. Security is another angle that needs to be carefully considered – an out-of-date WordPress blog might just be the open door an intruder needs to deface or run malware using your domain, hosting and bandwidth. This can be potentially more damaging than you might think. While web hosts often keep backups and can be contacted should you lose the keys to your webspace, a domain that has been used to distribute malware will quickly make it onto blacklists such as Web of Trust Browse Safely With Your Own Internet Bodyguard Called WOT Browse Safely With Your Own Internet Bodyguard Called WOT Read More and even buried in search results. Often in this scenario the only resolve is to wait a long time until your domain is no longer linked to such activity. This isn’t to say WordPress.com, Tumblr and so on are infallible – we’ll take a look at that side of things in the next article – but it’s within every webmaster’s interest to protect their patch to the best of their abilities, and that’s why many refugees would rather not worry about the technical side of things when it comes to setting up a blog and get on with writing. Finally the cost of a blog is, in my opinion always worth it, but for some people the expense might not be justified, and so hosting costs as well as domain renewal (or outright purchase) must be taken into account. Such a setup requires you have your own domain much of the time, though you can use it for all sorts once you’ve acquired it. Complete control over your website – from the theme to the plugins as well as content. Huge range of themes, plugins and other web apps to install. Domain name and web host required, both of which can be used for email and other projects. You’ll probably learn a thing or two about setting up blogs! Time, effort and expense in the setup process. Ongoing maintenance might put some off. Security concerns should core blog or plugins not be kept up to date. In the next article I will take a look at the flipside – hosting your blog for free, using a service like Tumblr or Blogger. These services are a lot quicker to setup and require virtually no maintenance, but they’re not without drawbacks or restrictions. Despite the drawbacks in this article a self-hosted blog comes with tons of benefits – customisation, control over the core aspects of your website as well as the ability to do more than just blog with your webspace. If you enjoy a “project” or would like to learn a bit about how the Internet ticks then it’s a great primer and can be very rewarding. Don’t forget to check out tomorrow’s article before making up your own mind. Do you host your own blog? Any advice to pass on to new recruits that are setting up a blog? Leave a comment below! Hi! This is a very helpful article and I'm looking forward to part two and reading more from you and others on your blog about blogging. It's a broad topic and so many decisions to make. At least I know what I want to write about...it's how to get it going that is a little daunting. Thanks again! Seeing as these articles were written a little while back some of the information may be a little outdated (such is the nature of the Internet), but the advice should still be valuable for someone looking at getting into blogging. I blog to let my words out of my system, and while I'll enjoy making setup for a self-hosted blog, experience showed me that I'd just become too absorbed with the nuts-and-bolts and ignore the writing. I think for now, letting WordPress takes care of the hosting and maintenance is a-okay. I run my own blog (http://refugeeks.com), I started out on Blogger then migrated to a self hosted wordpress blog. I'd say go for self hosted 100%. You have more flexibility, more control and it's far more rewarding to see the fruits of your labour. Anyone can sign up for Blogger and start writing. Not many can create an awesome, blog that has growth. Self hosted FTW! Great tutorial. Just want to say - check out your host before you start they might have Softaculous or similar services how can do the WordPress installation by a click. Then you will also get a notification about updates for WordPress. Yes, that's a good point. One-click installers do take much of the pain out of setting up a blog, and a lot of web hosts now have one-clicks for a ton of blog engines and other CMSs. One thing I've found - and this was a few years ago, so maybe it's a little different now - is that many web hosts aren't brilliant at keeping those one-click installers up to date. If you're not careful you might end up installing an old version of WordPress and having to update it all over again. Great article, but I've come to expect a little more than the adolescent arrangement of the social media logos next to the first paragraph. Maybe it's just me? This is a good article! if you can, please do a guide for the blogger account! thank you!